Your one-stop solution to get your Inspection Repair list done! Do what you do best-Sell! Let CAM handle the dreaded buyer repair list – just send us the inspection report and repair addendum, we will work with seller to complete all required work … financing available! Your one-stop solution for complete Property Management! CAM Secure Services, LLC. is a property asset protection and remodeling company headquartered in Bel Air, MD. Our team has over 20 years of experience in property preservation, and home improvement in and around the Mid-Atlantic region. CAM Secure Services is the one stop shop to help Real Estate Agents close the deal. Need us to help finance the work until closing – We can do that too! 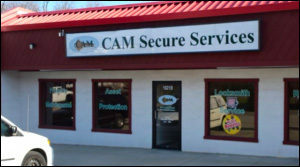 CAM Secure Services can manage and execute any project, large or small! CAM Secure Services, LLC. is the leading Property Management & Preservation firm in the Mid-Atlantic region. We maintain the most transparent level of documentation and photo conditions to give you the best insight to your investment. Our unique on-the-ground service helps you mitigate the risks and maximize the control.